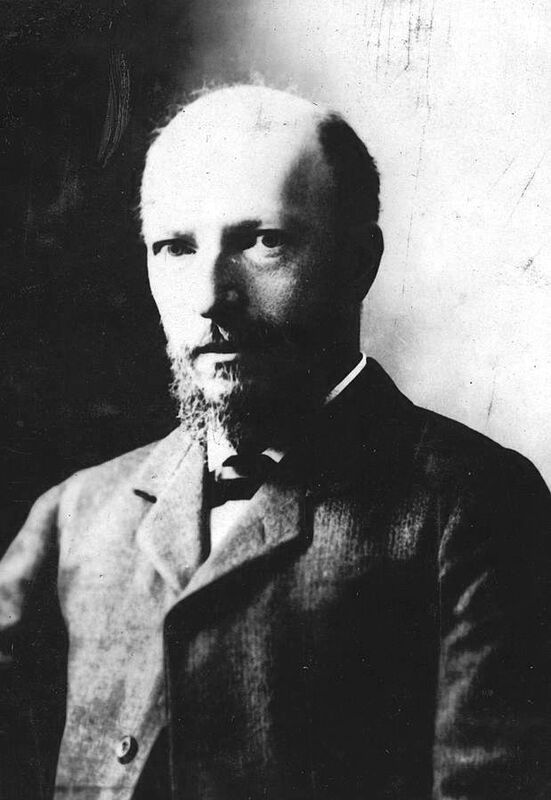 The Ethical Culture movement sprang from the mind of 25-year old Felix Adler in 1876. It was a brash, unexpected and brave undertaking for the son of the rabbi of New York City’s most prestigious synagogue, Temple Emanu-El on Fifth Avenue. The Social Reform movement in American had already gained momentum; but the German-born Adler’s vision went further. His Ethical Culture’s focus on enhancing ethical standards would logically include human rights, racial and sexual equality, humanitarianism, housing, political principles, and religion. 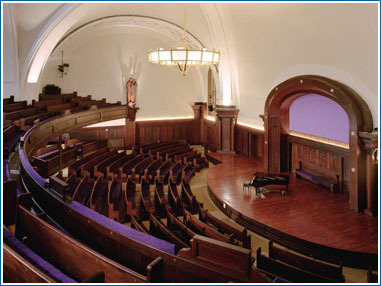 Adler’s Society for Ethical Culture was incorporated on February 21, 1877. The society plunged headlong into the problems of those in need; creating a visiting nurse service and organizing the first free kindergarten in the United States. Quickly other programs followed—the Workingmen’s School in 1880 (which became the The Ethical Culture School in 1895), the Mothers’ Society to Study Child Nature and in 1889 the Visiting and Teaching Guild for Cripple Children. Similar programs were added, contributing to the Society’s esteem within the community. Another member, Robert D. Kohn, was not quite as enthusiastic as Chubb. The respected architect had recently completed the New York Evening Post Building and the Spero Building, both striking examples of Art Nouveau architecture. Now, on June 23, 1909, he filed plans for a $300,000 “four-story and basement meeting house and Sunday school” for the Society for Ethical Culture. The blocky brackets between the openings under the cornice were intended to hold sculptures. "Massive simplicity” perfectly defined Kohn’s building. The Record and Guide noted “The exterior walls are built of massive blocks of limestone, hand cut with tooth chisels.” High above street level Kohn included tall niches on heavy brackets, nearly identical to those in his New York Post Building, intended to house statues. There was no grand portico, no classical columns; simply a sturdy block defined by geometry and openings. Typical of the Society’s focus on equality, the few sculptural details were done by women. Above the entrance was a bas relief executed by the architect’s wife, Estelle Rumbold Kohn, of figures in “an attitude of reverent light.” Four smaller figures of torch bearers decorated the side entrances. Estele Rumbold Kohn executed the entrance sculpture--its style in perfect harmony with the architecture. Small sculptures of torch bearers decorate the side entrances, which are flanked by striking lamps. Emblematic of the wide-range of events in the building was A Better Industrial Relations Exhibit held from April 18 to 25, 1914. Iron Age described it saying “It will show the devices in modern business which tend to make more harmonious the relations between employer and employee, and to better the conditions of employment.” And in 1915 the building hosted a meeting of the National Association for the Advancement of Colored People, which the Society had been instrumental in founding. The auditorium was the scene of marriages and funerals over the decades; but perhaps none was so noteworthy as that of Felix Adler himself, who died at the age of 81 in April 1933. The funeral was held on April 27.